Tea naming is an interesting art, and it’s easy for us Westerners to be confused by the plethora of naming conventions out there. I think a little primer might be helpful. 1. The height of the tea garden. 2. The place the tea was grown. 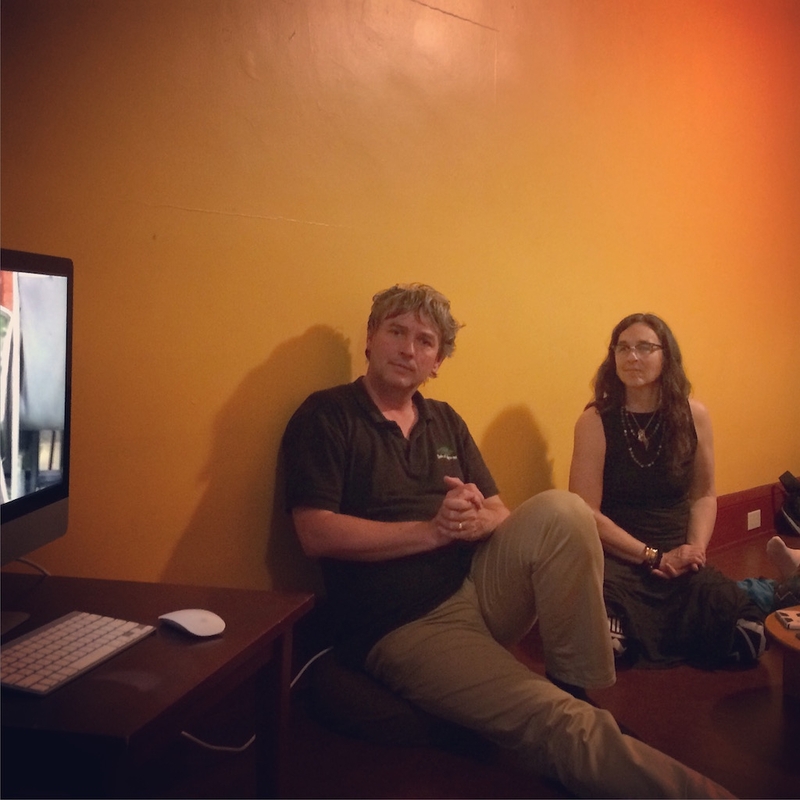 In this case we’re going through a Chinese tea name because I think that can be the hardest to understand, but the same principles apply to tea from other countries. There may, however, be more information as well, such as the leaf size or grade. 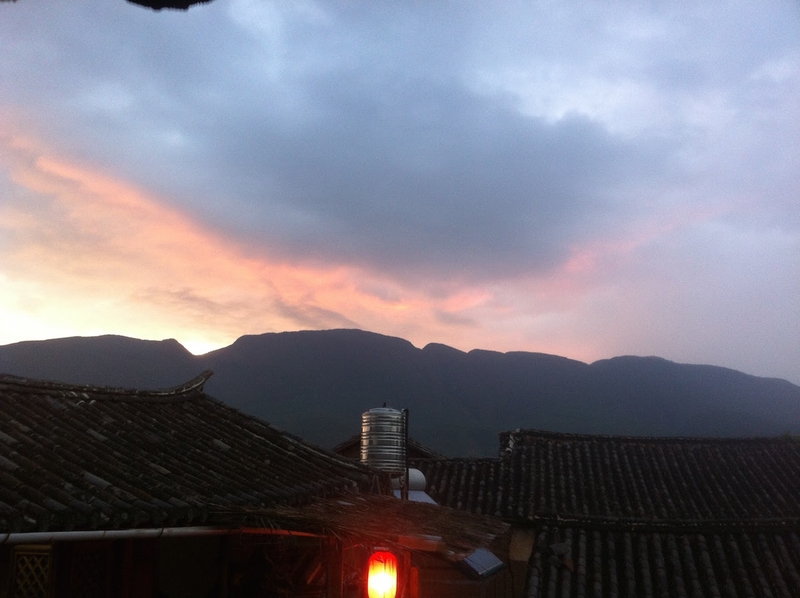 “Gāo Shān” (高山) literally means “High Mountain”. 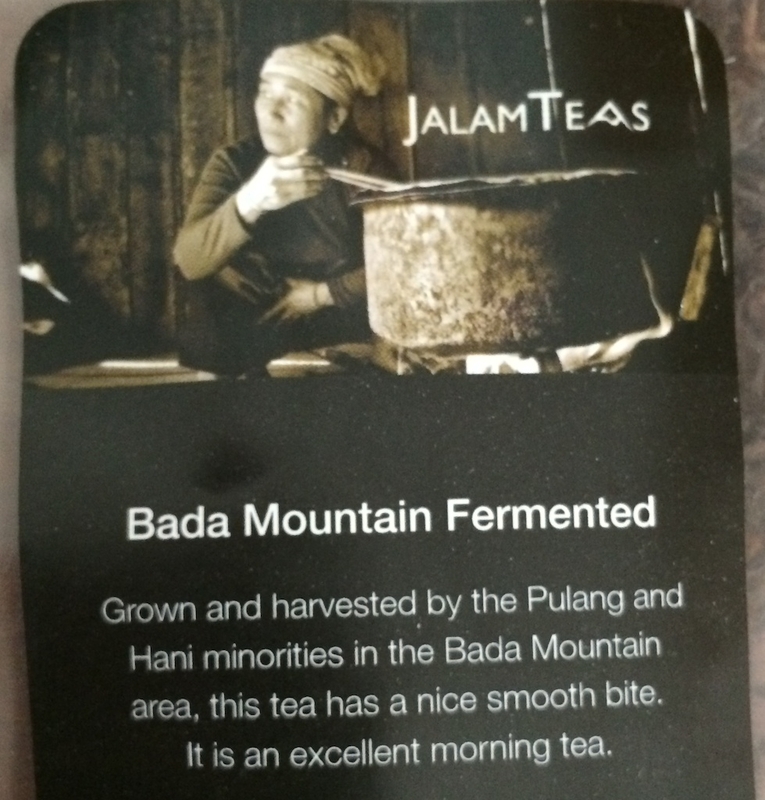 It refers to tea grown in a garden above 1000 meters. Many of the oolong teas from Taiwan fall into this category. The theory goes that if a tea is grown at a higher elevation, it will tend toward lighter, sweeter flavors as the increased sunlight and decreased temperature affect the leaf. This is not universally true, of course, but Gao Shan oolongs usually do have those qualities. 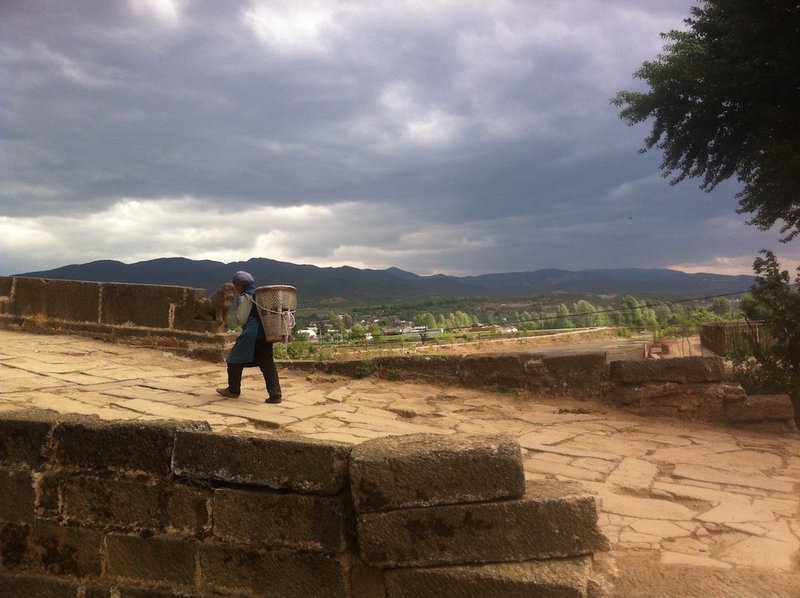 Many teas include the place name for the mountain or region in which the tea was grown. 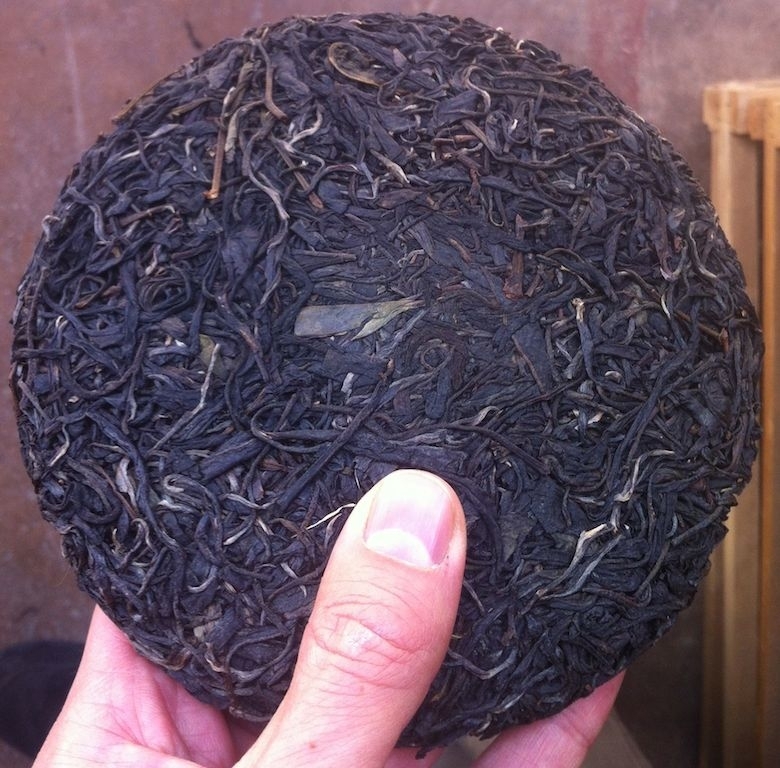 This has led to some famous locations throughout the tea growing world, and plenty of counterfeits. Ālǐ Shān (阿里山) is one of the most popular tea mountains in Taiwan and so you can often find “Ali Shan” tea that was actually grown someplace else. Still, the place a tea is grown does not in itself tell you if a tea will be good or not, so it’s just another guideline. A Cultivar (short for “cultivated variety”) is the particular version of Camellia Sinensis that was grown to make this tea. Often the cultivar isn’t mentioned in the tea’s name, but sometimes it is the entirety of the name. Jīn Xuān (金萱), for example, is the name of a particular tea cultivar that is grown in Taiwan and Fujian, China. A particular cultivar is usually processed in the same manner, even in different locations, so if you are familiar with the way a cultivar tastes, that can give you more of an idea of the experience you will have with a tea than anything else in the name. “Milk Oolong” is the more common name for Jin Xuan tea in the West because the flavor of that cultivar, when gently roasted by the tea manufacturer, gives off a sweet aroma with a texture similar to cream. The common name of a tea is often a translation of the Chinese cultivar name or location, but not always. In this case, Jin Xuan literally means “Golden Day Lilly”, so “Milk Oolong” is not a translation. So finally, our “Gao Shan Ali Shan Jin Xuan Milk Oolong” is a tea that was grown about 1000 meters on Ali Shan mountain using the Jin Xuan cultivar. This is why you can’t have a Dong Ding Ali Shan (two place names) or a Jin Xuan Tie Guan Yin (two cultivars). As always, though, the only way to really learn about a tea is to give it a try (preferably several). This entry was posted in Language and tagged china, naming, oolong, taiwan on February 20, 2014 by payton. This is a tea I haven’t had before. Shuǐ Mì Xiāng (水蜜香) means “Water Honey Aroma”, or perhaps more lyrically, “Honey-water scent” and it’s easy to see why. The dark twisted leaves give forth a dusty sweet aroma that gave away the family of this tea even before I knew what it was: Guandong oolong. This is the first tea I’ve had with this name, but I assume it falls into the category of Phoenix oolongs (凤凰茶 or Fèng Huáng Chá). This class of oolong is grown in the Phoenix mountains of Guǎngdōng Province (广东) in south-eastern China and has very specific characteristics. Dark, long, and twisted leaves which carry an unmistakable roast and the subtle aroma of sweet stone fruit are the hallmark of this style. Typically they produce a golden infusion with a honey and apricot flavor. 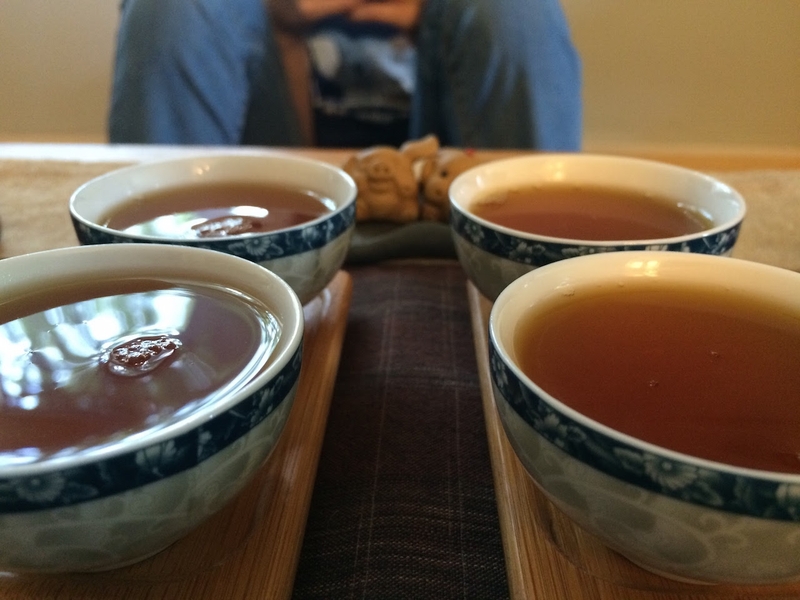 I’ve tasted many different Phoenix oolongs, and there is a variation in flavor intensity, aroma, and body, but otherwise they all share the qualities mentioned above. 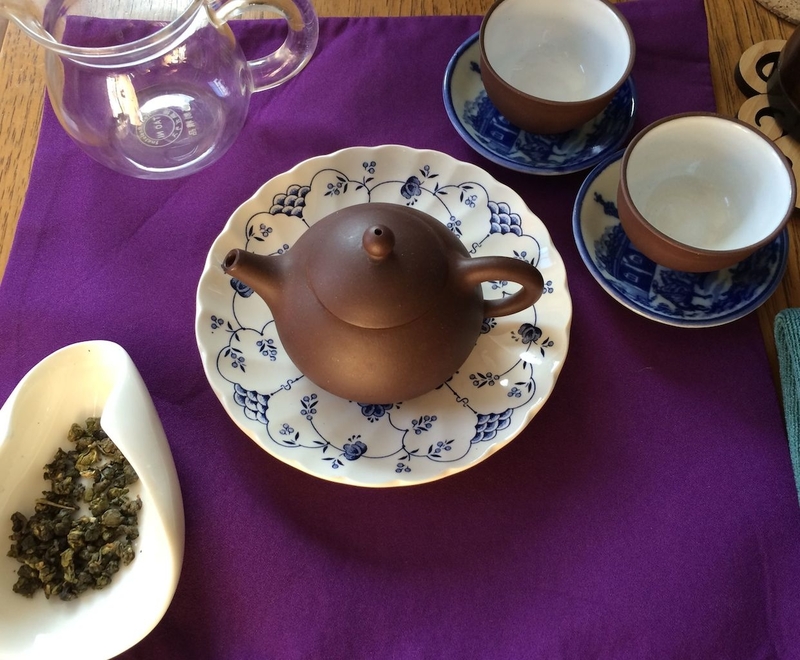 It’s one of my favorite styles of oolong to share with new tea drinkers as I think it showcases the amazing flavors that can be brought out of the tea leaf with nothing added. I’ve even had someone call me before to ask if the tea they bought was scented! 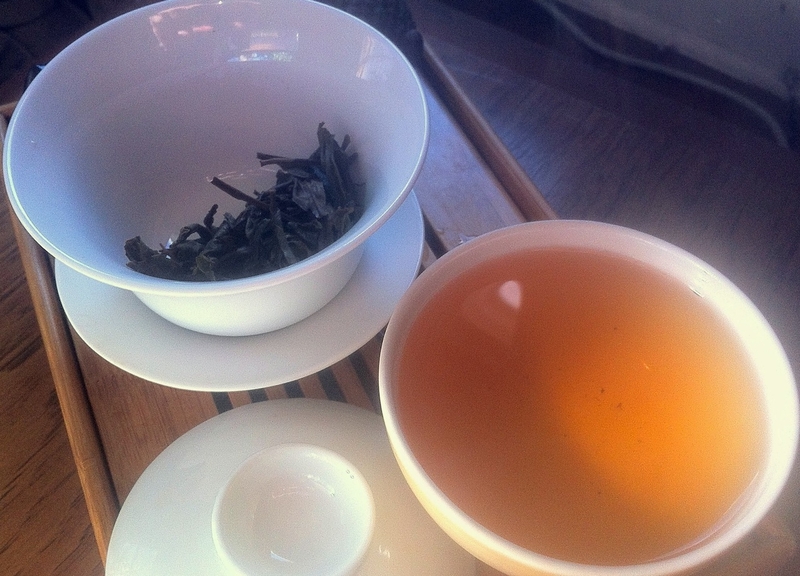 As with any tea, consistent leaf sizes are desirable and this tea has them. They will allow the tea to infuse at a consistent rate without small or broken leaves confusing things. 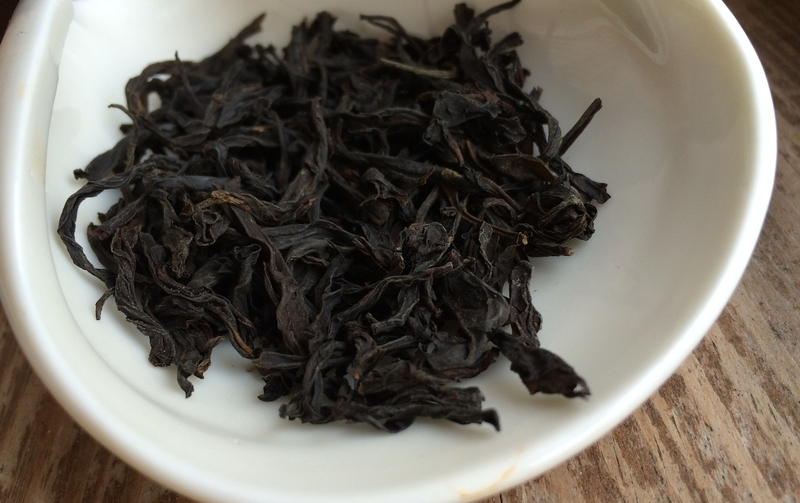 Many Phoenix oolongs I’ve had are of the Dān Cóng (单丛) harvest. Dān Cóng means something like “single bush”, and (from what I understand) refers to wild or arbor tea trees, that is, tea plants that have been allowed to grow without pruning so they reach three to five meters in height. Arbor tea leaves tend to have more complex flavors than those found in cultivated gardens. Perhaps this is a Dān Cóng and perhaps not, but it is definitely an exceptional tea. I smelled the aroma during a recent trip to Camellia Sinensis and immediately picked some up. Xiāng (香) can also mean “spice”, which is really interesting because I definitely detect cinnamon notes in the taste and texture. My first few infusions reminded me of cinnamon sticks and the sweetness of cherries. The translucency of the liquor implies a lighter body, but it’s actually quite full in the mouth. I easily made four good infusions of 4g of the same leaf, with no loss of flavor that I could detect. Another good sign. I don’t think this tea will last very long in my collection with the speed at which I’m drinking it, but if there’s one lesson I’ve learned over the years, it’s that tea is meant to be consumed. If you hoard tea without drinking it yourself, you’re missing the point, and even better is to share! 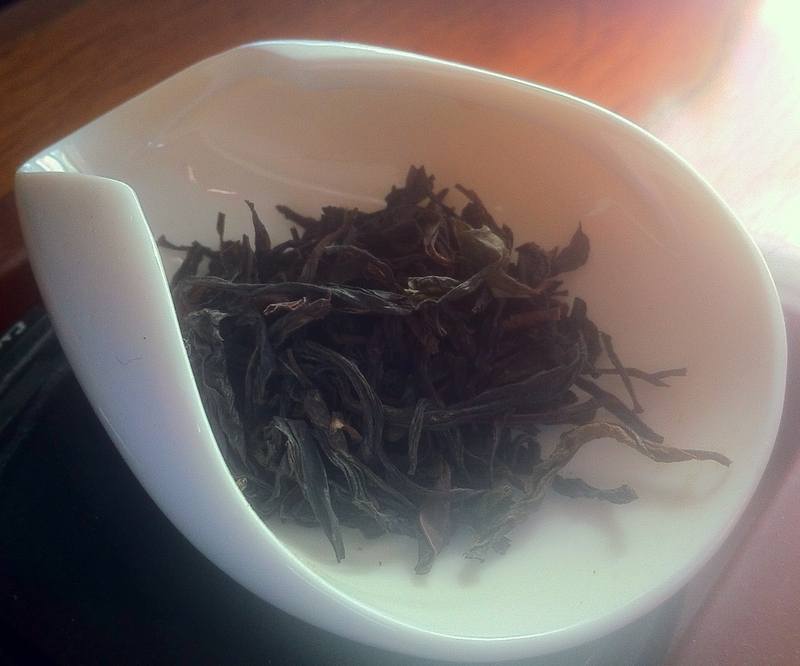 This entry was posted in Tastings and tagged china, fenghuang, guandong, oolong on February 13, 2014 by payton. Ming Tao Xuan in Montréal, where I purchased this tea in 2011 has labeled it as “Phoenix Ku Fu Cha (Chinese Red Tea)”, which is confusing in many ways. Its mystery, however, can still be unraveled with some careful tasting. And the process can be so rewarding. My taste buds tell me that this is definitely an Oolong and not a Red tea (what we call Black tea in the West) although it definitely has a decent amount of oxidation, putting it near enough to Red tea territory. The fact that it’s a twisted leaf with a high oxidation and a plum-like sweetness puts it squarely in the Feng Huang (凤凰单丛) category. 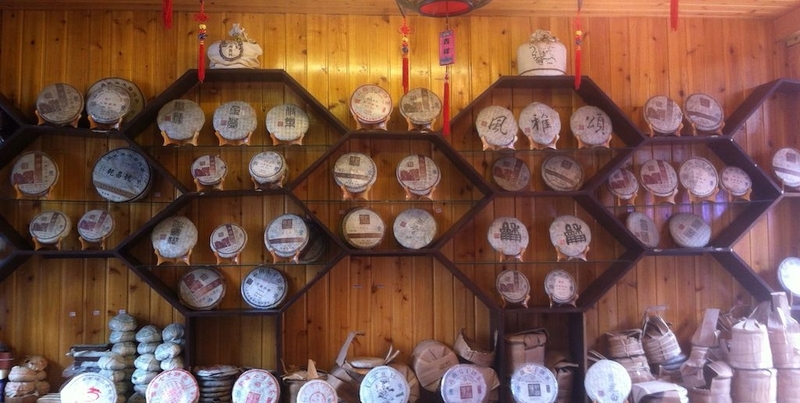 Feng Huang, or Phoenix oolongs, are produced around the Wuyi shan region of Guandong province in southern China. Not as roasty as their Da Hong Pao and Shui Xian cousins, Feng Huang tea has dark twisted leaves but an amber infusion with a fruity aroma. The more of them I taste, the more I learn that the style has quite a range of flavor and strength (like all teas, really). The kind that is most familiar to me is the Mi Lan Xiang or “honey orchid scent” style. It’s not uncommon to mistake a Phoenix for a tea with added flavors because of their strong fruity aroma (usually plum or apricot), and the Mi Lan style adds a sweet honey taste to that. After some experience you can tell the difference, though, because added scents are cloying and overflow the taste when it hits your palette. Real Phoenix is just sweet enough, but the underlying “rock tea” (another name for leaves grown in the Wuyi region) is still present. In the cup, I’m getting the fruit aroma, but the taste isn’t filled with honey. I get sweetness, but it’s more of a candy sweet, like a subtle sugarcane. The roast gives it a decidedly Shui Xian leaning, making it less smooth in the aftertaste than I expect. I’m not certain what style of Phoenix to call this “Ku Fu” tea, because from what I can tell, “Ku Fu” doesn’t really mean anything. My best guess is that it’s supposed to be “Kung Fu”, a.k.a: Gong Fu Cha, a method of brewing but also a title given to tea of a particularly high quality (at least in the eyes of its seller). So let’s rename this tea to “Feng Huang Gong Fu Cha (Chinese Dark Oolong Tea)”. I think that fits better. Surprisingly it is still delicious after more than a year in my tea cabinet. 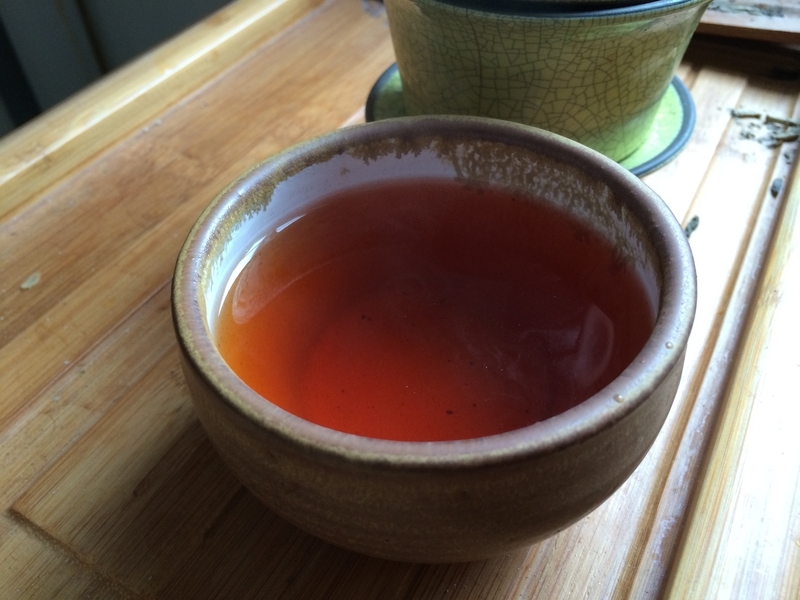 If you’re going to keep an oolong for more than a year, make sure that it’s darkly roasted like this one. The lighter styles can develop off flavors so easily, but more heavily toasted leaves tend, in my experience, to retain their taste longer. As always, if you infuse an oolong like this for too long, you’ll get a real punch of the tannins when they hit your tongue. In this case I started with about 1.5 minutes and it was too much. The rule here is to experiment! After a shorter, perhaps 40 second infusion, I was very pleased with the taste. Don’t be afraid to try tea you think is past its prime, but remember to give it more than once chance and you may discover a treasure like this! 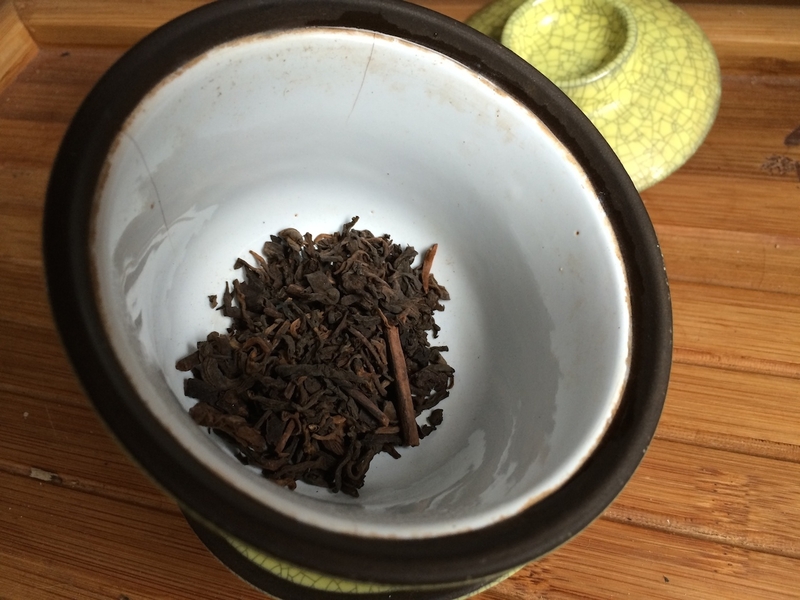 This entry was posted in Tastings and tagged china, oolong on November 4, 2013 by payton. Rich golden orange liquor with a sweet pumpkin taste and a gentle roast in the aroma. Fantastic. Such good Da Hong Pao. I bought several Wuyi teas when I was in Shanghai and I haven’t had this one in a while. Clearly I’ve been missing out! Thankfully my fiancée picked it from our tea cabinet because it has a nice tin. I remember asking for the tin specifically when I bought the tea, even though it didn’t normally come in a tin. 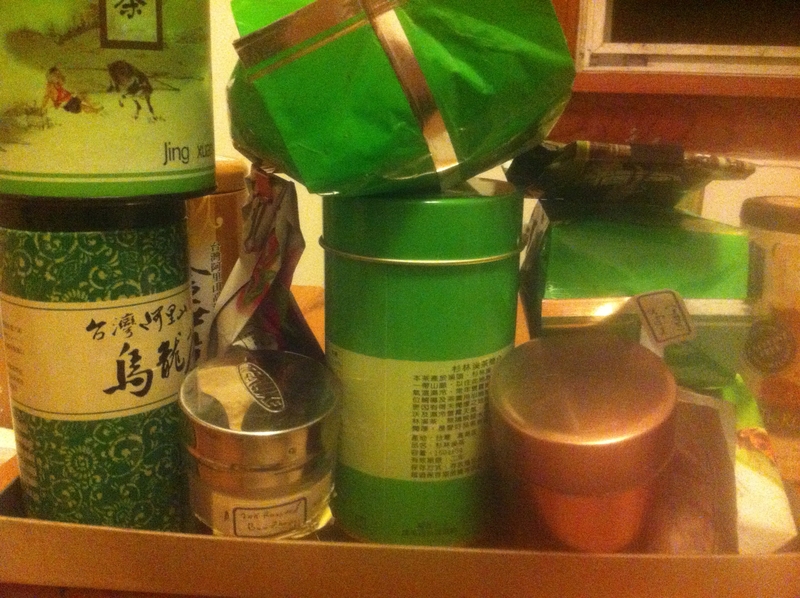 I felt pretty skillful at haggling because I got the tin and my hedgehog tea pet from that store at quite a discount. I’ve been wondering, though, if indeed the discount was as good as I thought, or if the proprietors were perhaps just hoping that these strange foreigners would just go away. 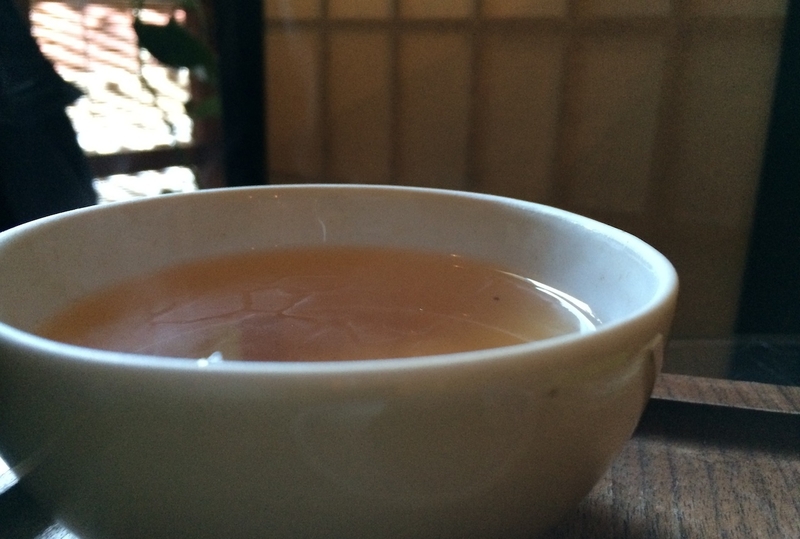 This entry was posted in Tastings and tagged china, oolong, tea on May 20, 2013 by payton.